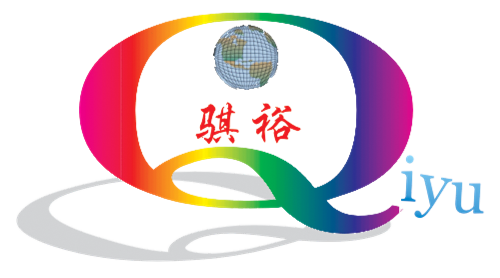 Fujian Qiyu Energy Industry Co., Ltd. According to Reuters, China's demand for liquefied natural gas (LNG), because the excess supply of natural gas market, the natural gas industry hope to take this opportunity to quickly reverse gas prices fall. In 2016 China's gas imports increase sharply, and promote China more than South Korea to become the world's second biggest importer of liquefied natural gas (LNG), second only to Japan. According to China's general administration of customs on Thursday (Feb. 23) released data, China's LNG imports rose 39.7% from a year in January, 3.44 million tons; Gaseous gas imports reached 2.39 million tons. This is the second highest monthly level of liquefied natural gas (LNG) imports, only lower than in December last year a record 3.73 million tons of higher. Liquefied natural gas industry is focused on growing demand in China, a new round of excess supply, in the end, this round of the surplus is mainly caused by Australia and the United States production increase, lead to Asian spot price of liquefied natural gas (LNG) high plunged nearly 70% since 2014, to $6.4 per million British thermal units. Australia's oil and gas giant Woodside Petroleum Coleman (Peter Coleman) chief executive, said China's increasing demand for natural gas, mainly through floating storage regasification module (FSRU) gas imports, this means that the LNG market supply and demand may achieve balance in about 2021-2022, about a year earlier than previously expected. In addition to China, natural gas producers hope in south and southeast Asia can also be a growing demand, this will help to absorb the new natural gas production. Larger shell liquefied natural gas (LNG) supplier in the world, said this week that estimates that by 2035 southeast Asian LNG demand will increase from the current 10 million tons/year to 50 million tons/year. Shell gas integration and new energy director Maarten Wetselaar said the 2016 global LNG trade relatively flexible and multiple times to deal with the situation of natural gas shortage in emerging countries and regions. Hill (the company's vice President Steve Hill) believe that most of the increase in imports was driven by floating gasification unit again. The future most of southeast Asia import growth will come from Indonesia, because of the country's 17500 islands through gas pipeline connection, more suitable for small-scale imported equipment. In South Asia, Pakistan, the demand for natural gas is also a sharp increase in the country in May 2015 by port of floating storage regasification module gas imports, imports rose by 28% to 3.9 million tonnes in 2016. Due to the whole industry in the development of new demand, the investment decision on the new supply is reduced. Shell believes that in order to meet growing demand, LNG trade need to be further investment, 2020 years later, most of the investment or will come from Asia.